Isn’t she a delightful, delectable beauty?! The average Bahamian would say yes, and I would have to agree. 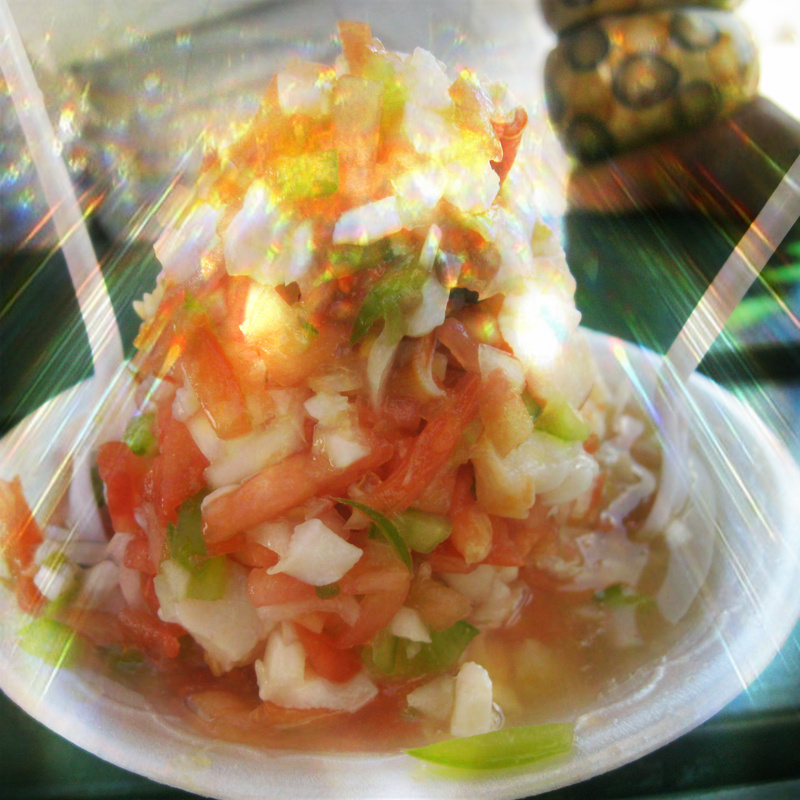 I love fresh conch salad [pronounced kunk or kawnk]. Strombus gigas, as it is referred to in the bio world, is a sea mollusk that lives in a shell. This conch is skinned, cleaned and ready to go! There are so many ways to each conch — soups, stews, fritters, grilled, baked, cracked– but nothing beats having a freshly made salad on a hot summer day. Juicy, red tomatoes, green bell peppers (aka sweet peppers), onion and conch are the main ingredients. Add lime, orange, salt and pepper to your liking and enjoy! Has the right balance of herbs to actual conch pieces. Onions, Sweet Peppers and Tomatoes are the only herbs used. Scorched Conch is as simple as it gets with just some conch and onions. Not my favorite but still tasty. I could not find a picture but if you can imagine the anatomy of a conch, this salad would consist of mostly the dark portions on the conch and the conch’s “breast” or bubby. This part is very tough if consumed raw so usually it is boiled to make it more edible. Many people enjoy this salad with mayonnaise in it. Another salad that requires some boiling. Usually both the conch and crawfish are boiled. Whatever your taste buds crave, there’s something for you. There are even conchless conch salads which consist of just the herbs so it’s actually more like a roughly chopped salsa. 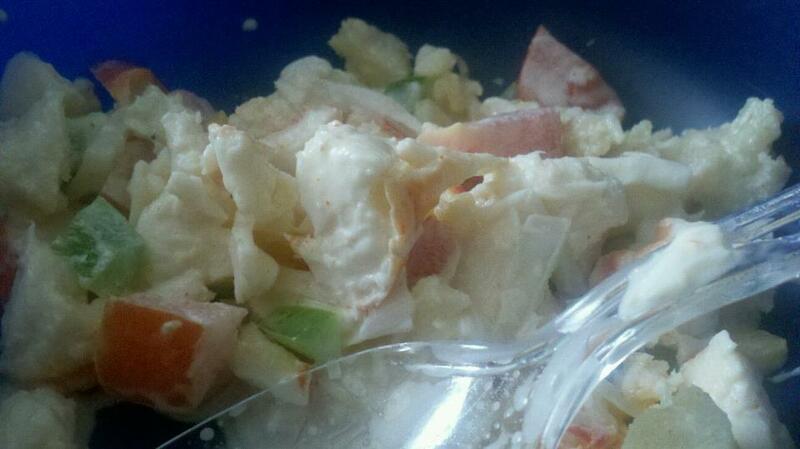 On a hot summer day, I love to have the old fashioned conch salad with an cold Budlight or Miami vice daiquiri! **Note: the use of “herbs” in this story is referring to the veggies used and not actual herbs. It’s a Bahamian ting!